Update: The Green Eyeshade Awards from the southeastern division of the Society of Professional Journalists, announced Friday, June 8, that the Jackson Free Press has won "Best in Division," one of the contest's top awards, for our juvenile-justice reporting and commentary in 2017. This is the second year in a row the JFP has taken "Best in Division" for work related to young people and violence prevention in Mississippi. 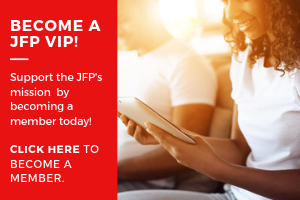 This brings the JFP's total Eyeshade awards to six this year, which includes the public-service award for juvenile justice work announced previously. Reporters Ko Bragg and Arielle Dreher, along with editor-in-chief Donna Ladd, took first place in public service in the non-daily news division for the team's reporting in 2017 on juvenile justice in Mississippi. The award honored 15 stories and columns last year about failed efforts to expand the state gang law; the effort for criminal-justice reform in the Legislature, the lack of resources for young people needing mental-health and trauma treatment; the lack of violence prevention for young people growing up in poverty; the lack of evidence-based policing strategies, and even how scientific racism has influenced today's juvenile-justice policy. The recognized public-service work also included Ko Bragg's investigation of the Jackson Police Department's distribution of juvenile mugshots and allowing select "perp walks" for media cameras, including of unconvicted juveniles. Her work prompted Mayor Chokwe A. Lumumba to sign an executive order stopping those practices. Last year's Green Eyeshade Awards also honored the JFP's ongoing juvenile-justice work, which has been supported in recent years by fellowships and grants from the John Jay College of Criminal Justice, the Quattrone Center at Penn Law and the Solutions Journalism Network. Donna Ladd's long-form "Hunger to Live" story series on the Washington Addition won Best in Division in 2017, with photojournalism by Imani Khayyam. • Courts and the Law reporting, 3rd place: Ko Bragg, "Hinds DA on Trial, Again"
The Green Eyeshades includes journalism by daily, non-daily, TV, radio, college and online-only outlets in Alabama, Arkansas, Florida, Georgia, Kentucky, Louisiana, Mississippi, North Carolina, South Carolina, Tennessee and West Virginia. It will announce its best of division awards the week of June 4. 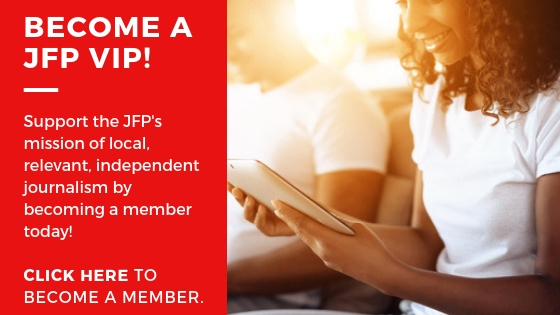 Subscribe free to jfpdaily.com for breaking news and enterprising reporting about Mississippi and its capital city. Follow the Jackson Free Press at @jxnfreepress on Twitter and Instagram.